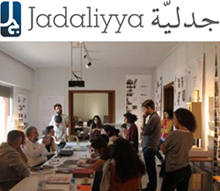 The Arab Center for Architecture (ACA), in partnership with the International Writers’ House (BeK), is introducing a series of conferences, bringing together writers and architects, to discuss the representation, development and planning in Arab cities from a multidisciplinary perspective. 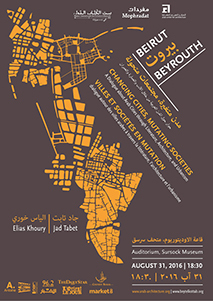 The second conference of this cycle is focusing on Beirut as a war-torn city. The talk is in Arabic. 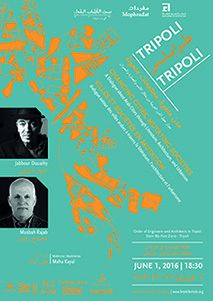 The second conference of this cycle is focusing on Tripoli. 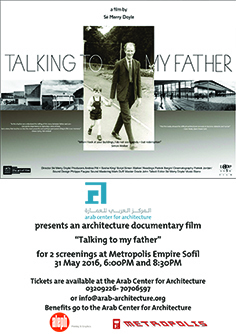 We are pleased to announce the screening of the Irish documentary film « Talking to my father» by the film director Sé Merry Doyle, on Tuesday May 31, 2016. Two screenings will take place at 6pm and 8:30pm at Metropolis Empire Sofil in Ashrafieh, Beirut. 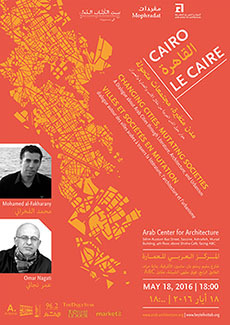 and architect Omar NagatiI (EGYPT), and will focus on the city of Cairo. Mrad Building, 4th floor, above Shisha Café, facing ABC. 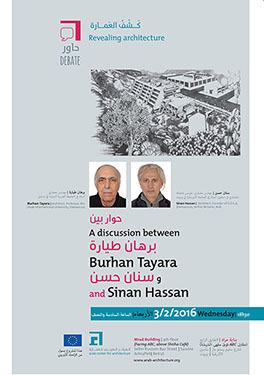 A public lecture by Syrian architects Burhan Tayara and Sinan Hassan. 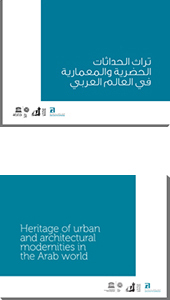 The 48 page Exhibition catalogue was published in Arabic, English and French. from the 1st to the 3rd of December 2015 in Kuwait City.